Turkey's foreign minister has criticized President Trump, saying the U.S. leader appears to want to "turn a blind eye" to the killing of journalist Jamal Khashoggi by Saudi agents at the kingdom's consulate in Istanbul. Mevlut Cavusoglu also described many European nations' response to Khashoggi's killing as "artificial" and "cosmetic." Cavusoglu was referring to bans imposed by some countries on the Saudi citizens detained in Saudi Arabia over the killing, from entering European nations. Cavusoglu spoke to Turkey's CNN-Turk television on Friday. Mr. Trump on Thursday disputed that U.S. intelligence officials had concluded that Saudi crown prince had ordered the killing of Khashoggi - a U.S.-based journalist who was critical of his rule. Cavusoglu says "Trump's statements amount to him saying 'I'll turn a blind eye no matter what.'" He added: "Money isn't everything. We must not move away from human values." 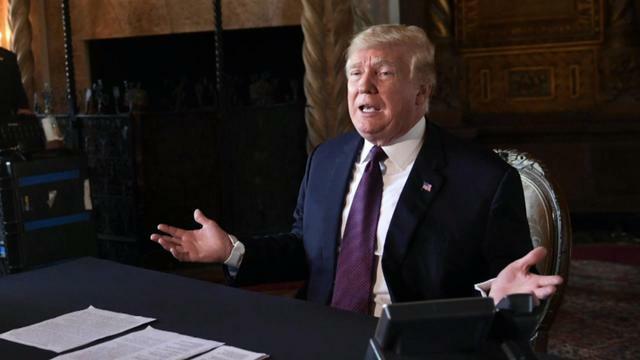 On Thursday, Mr. Trump doubled down on his Tuesday statement that he sides with the Saudis, saying the Saudi crown prince and his father both "vehemently" deny a role in his death. The CIA, Mr. Trump said Thursday, never "concluded" that the Saudi royals were responsible in the death, although CBS News has confirmed that CIA intelligence points to Saudi Crown Prince Mohammed bin Salman ordering the murder. Mr. Trump has refused to listen to audio of the killing. Asked who should be held responsible for Khashoggi's death, the president said Thursday, "Maybe the world should be held accountable because the world is a vicious place." "So I hate the crime and I hate what is done and I hate the cover-up," Mr. Trump also said. "And I will tell you this, the crown prince hates it more than I do." The president has long couched his defense of the Saudis in economic terms, saying the financial relationship between the two nations is indispensable. "Do people really want me to give up hundreds of thousands of jobs – and frankly, if we went by this standard, we wouldn't have anybody as an ally," Mr. Trump said Thursday. Earlier in the week, the president announced there would be no further punishment for the Saudis after Khashoggi's death, a statement that sent shockwaves across Washington and was described by critics as akin to propaganda for the Saudis. "It could very well be that the crown prince had knowledge of this tragic event," the president said in the statement. "Maybe he did and maybe he didn't!" Mr. Trump said in his exclamation mark-laced written remarks.